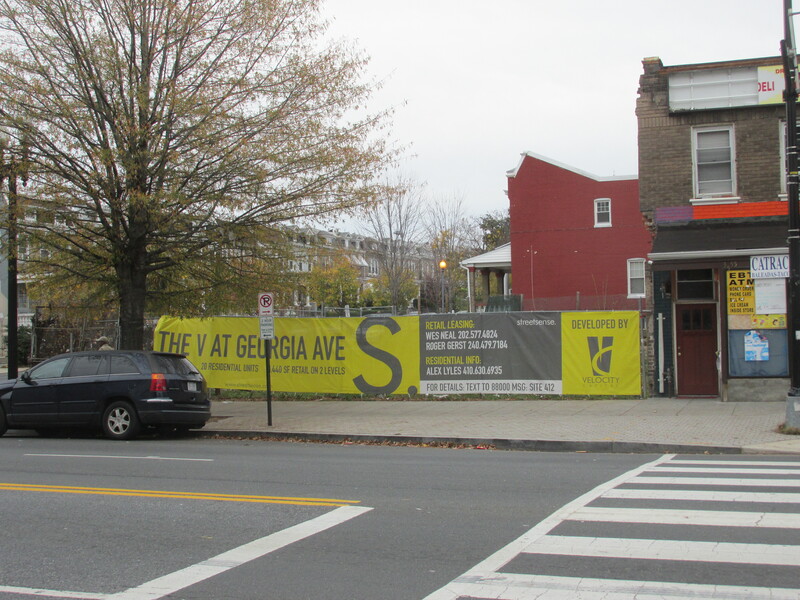 New Signage Posted for Development at Otis and Georgia | Park View, D.C.
New signage has been posted for “The V”, a mixed residential and retail project that was approved back in February 2013. According to Streetsense, which is handling leasing inquiries, (see below) the 20 unit building is aiming to be completed in late 2016. 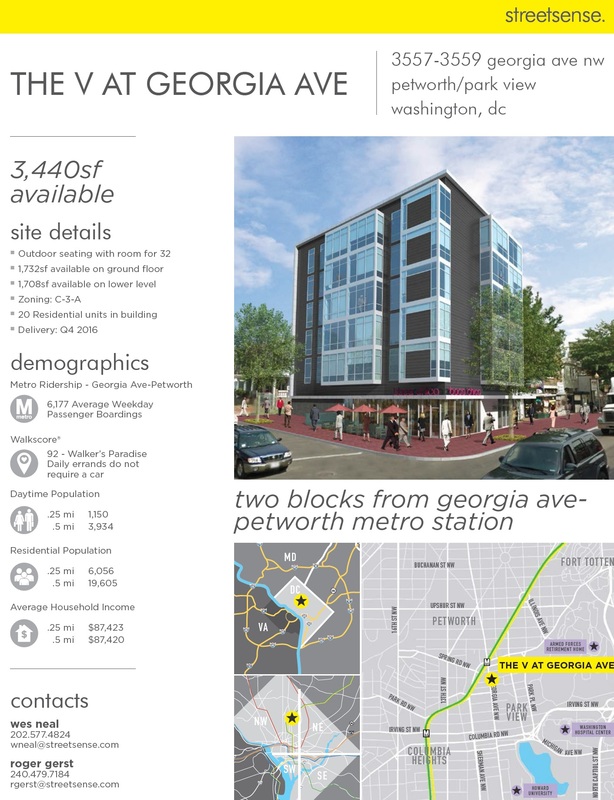 This entry was posted on November 24, 2015 at 7:01 am and is filed under Development, Housing, Retail. You can subscribe via RSS 2.0 feed to this post's comments.